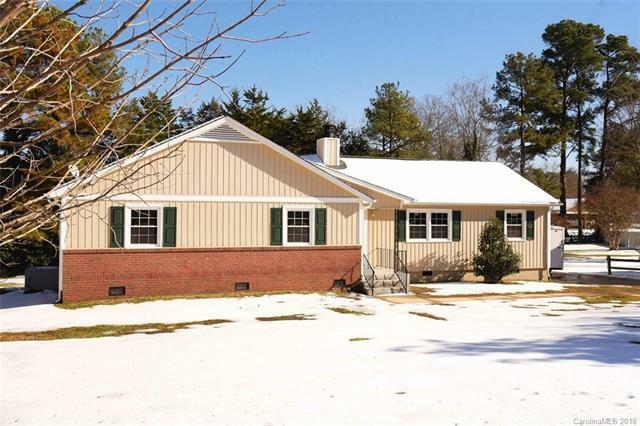 Impressively Remodeled Spacious Ranch.New granite counter tops, luxury vinyl plank flooring, lighting fixtures, range/oven, refrigerator, paint and more.Conveniently located near churches,shopping,schools. Only 3- 5 minutes to Martha Rivers Park, Ferguson Park, Lineberger Pool & Park. Short drive to new YMCA. Spacious Master Bedroom and Den each have large glass doors overlooking the attractive back lawn and trees.Flexible floor plan allows for your preference of formal, casual areas as well as potential for a spacious office. The updated kitchen/family room with its classic cabinetry and spacious open area lends a warm and inviting "homeplace" atmosphere for family gatherings around the "food and the fire". Don't miss this lovely home! Call for more details! Offered by Reg Robinson Real Estate, Inc.. Copyright 2019 Carolina Multiple Listing Services. All rights reserved.